The 1912 French Grand Prix was a Grand Prix motor race held at Dieppe on 25–26 June 1912. The race was run over two days with the drivers completing ten laps on each day and their times being aggregated to produce the winner (similar to a modern rally race). Coupe de l'Auto cars competed alongside Grand Prix cars. The coupe cars were limited to 3 litre engines. The only restriction on the Grand Prix cars was a minimum width of 1750 millimetres. Riding mechanic Jean Bassignano was killed in a lap 3 crash when his driver Léon Collinet put a wheel off and flipped. 47 cars started the race at 30 second intervals, with Victor Rigal's Sunbeam the first to start. Victor Hemery, driving a Lorraine-Dietrich held the lead after the first lap. David Bruce-Brown's Fiat subsequently took the lead and retained it overnight, more than two minutes ahead of Georges Boillot's Peugeot. Louis Wagner was third at the halfway stage. During the second day, Bruce-Brown was disqualified for refuelling away from the pits on lap 15, giving Boillot a comfortable victory by over thirteen minutes from Wagner. 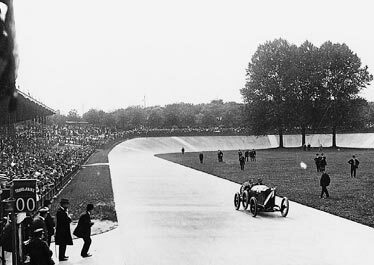 Wikimedia Commons has media related to 1912 French Grand Prix. ^ Higham, Peter (1995). The Guinness Guide to International Motor Racing. Guinness Publishing. p. 194. ISBN 0-85112-642-1. ^ Rendall, Ivan (1995). The Chequered Flag. Weidenfeld and Nicolson. pp. 66–69. ISBN 0-297-83550-5.